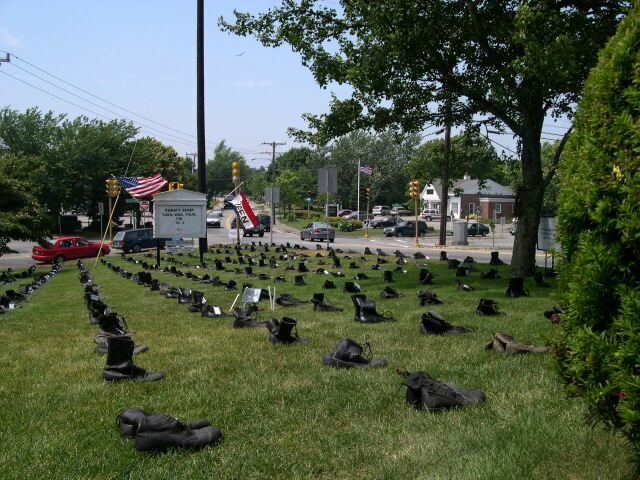 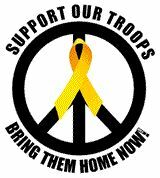 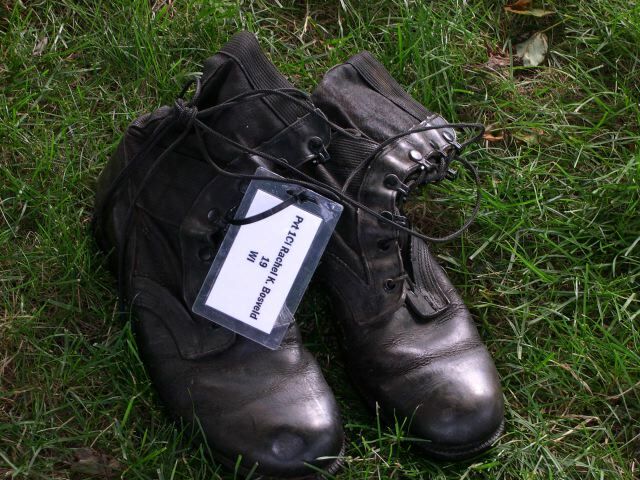 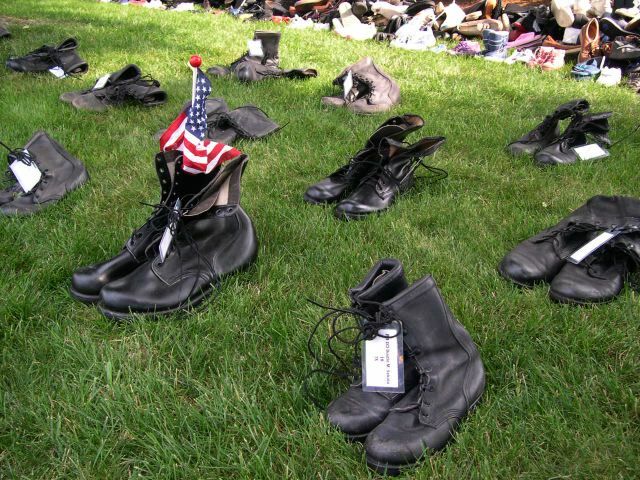 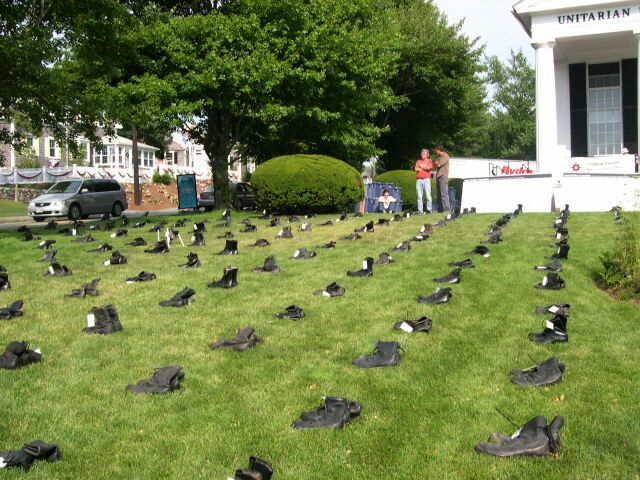 an Exhibition of the Iraq War On July 15, 2004, 882 pairs of boots (donated by an Army-Navy surplus store in Chicago run by Vietnam Vets) were on display in Falmouth. 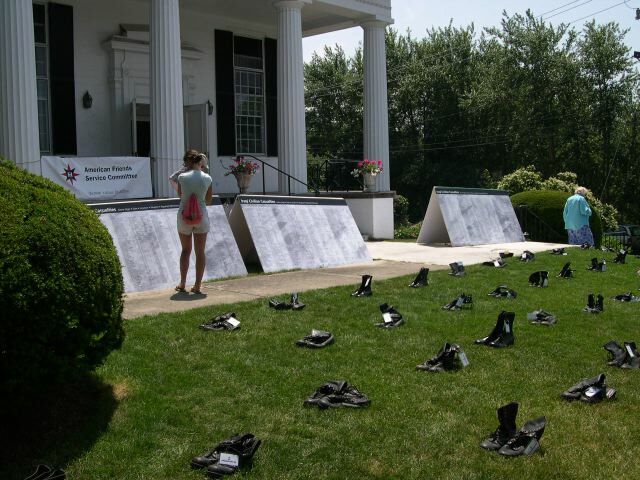 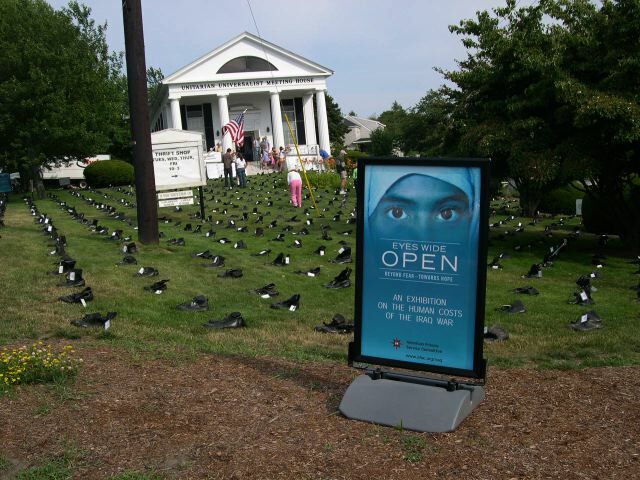 Ten pair of boots were added that night to represent the latest fatalaties, and the exhibit went up again at the Unitarian-Universalist Church in Chatham on July 16th. 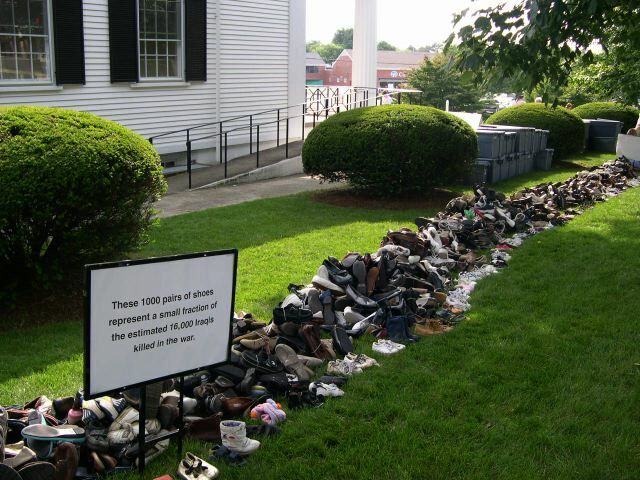 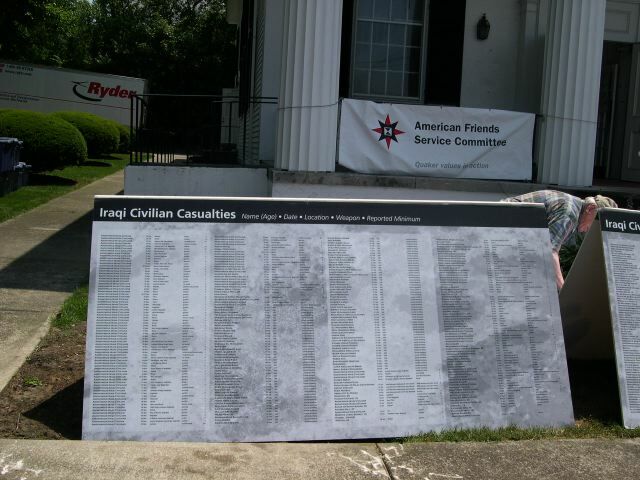 The exhibit also features 1,000 pairs of civilian shoes representing approximately thirteen times that many Iraqi civilians killed since the beginning of the "pre-emptive" war. 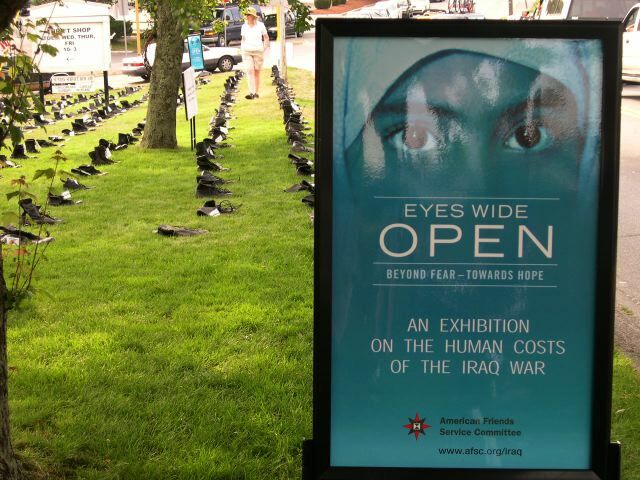 For a complete description of the exhibit, and a complete calendar of appearances, visit the above link.